We love companies that take video game concepts and introduce them to the real world. 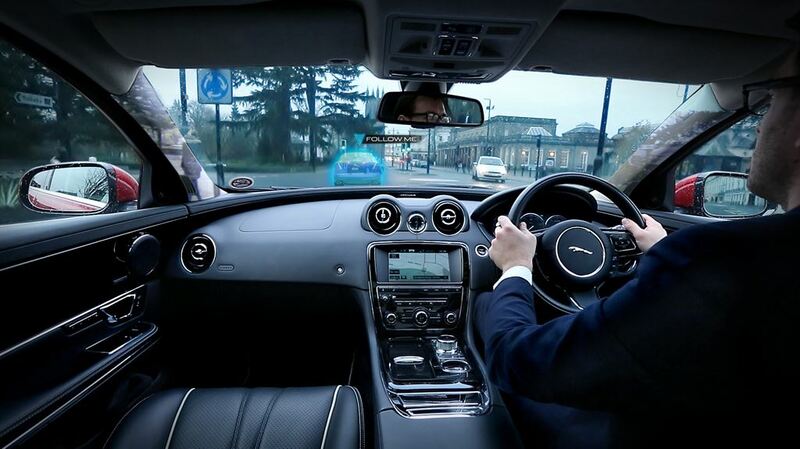 Like Jaguar, for example – a few months back they announced they were developing a virtual windscreen. The eggheads at Jaguar are at it again; this time it’s a ‘follow me ghost car’, a virtual projection of a car which basically shows you where to go. One of the first things we thought of when we saw it is the AI opponents in the likes of the Gran Turismo videogames. Though increased safety is the idea behind the new technology, you just know someone’s going to try to fiddle with the mechanics, and turn the ghost guide into a racing opponent.